David Alan Adkisson (July 22, 1958 " February 10, 1984) was an American professional wrestler who competed as "The Yellow Rose of Texas" David Von Erich (of the Von Erich Family). 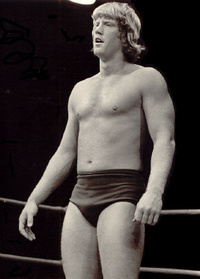 He was the son of Fritz Von Erich and the brother of Jack Jr., Kerry, Kevin, Mike and Chris. This webpage uses material from the Wikipedia article "David_Von_Erich" and is licensed under the GNU Free Documentation License. Reality TV World is not responsible for any errors or omissions the Wikipedia article may contain.